I have the privilege of being connected to so many amazing writers, teachers, and leaders in the faith community. I gathered up some (not all) of the amazing work they are doing. If you are looking for a study, a devotional, or a resource— KEEP READING. Amanda and I go to church together and she’s one of those people that just keeps getting better the longer you know her. She writes from such a genuine place and really loves the Lord. 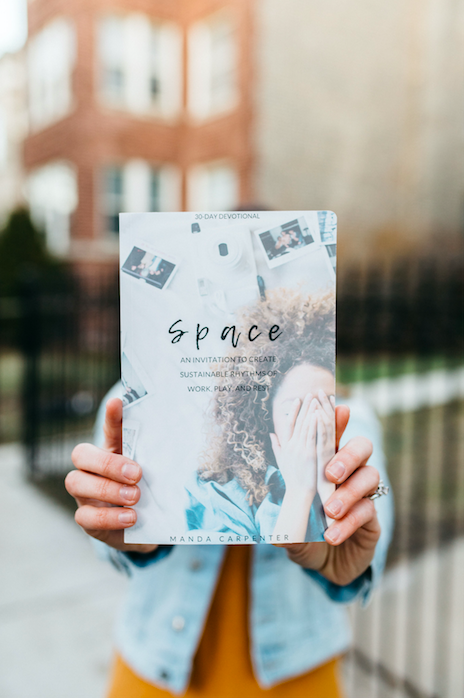 If you need more space in your life…grab this devotional. ASAP. Lacey and I are instagram friends and have connected deeply over conversations on race, parenting, singleness and more. I love her heart to learn and grow in Christ. Lacey walks you through the prophetic words in the Bible and what they all point to. Grab her devotional here! Ashley is such a gift to anyone who follows her. She is so authentic and shares such beautiful revelation from the Bible. She is a true heart to heart girl and if you are in need of some deep work internally, she is your girl. Check out her Soul Reflection Workbook HERE.